Guest Lecture on Social Entrepreneurship by Mr. Puneet Sharma – SocialSoft4u Technologies Pvt. Ltd.
For a well-rounded and holistic of students, the school encourages students’ participation in inter school competitions. 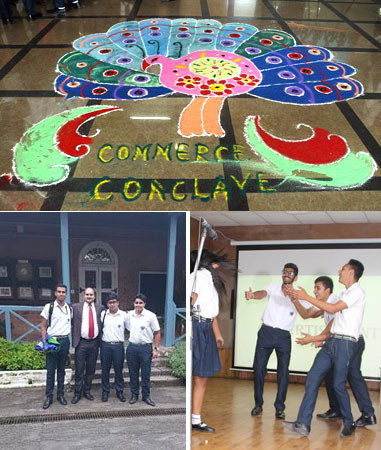 LPS Students are taking part in knowledge enriching business quiz competitions, realistic debate, writing competitions and commerce fest organized at the various prominent schools of the north region. 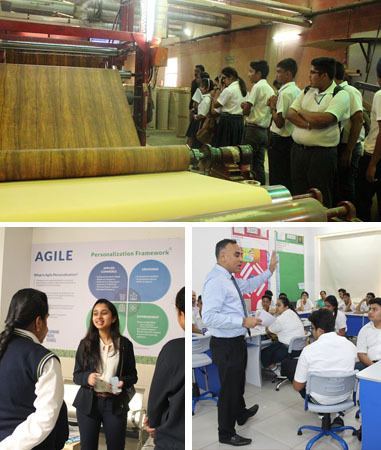 Commerce and Business Studies wing of Learning Paths School, Mohali, has initiated a Work Place Skills Program for both students and teachers of Commerce Department. This program would enable the students to identify their potential and strengths and link the same to their preferred profession. 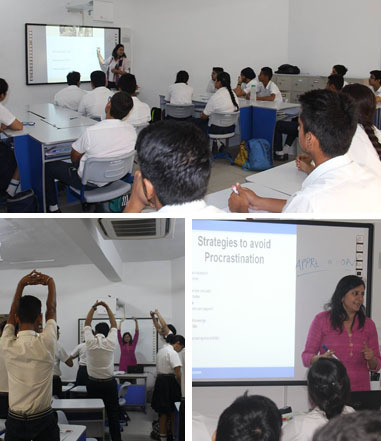 The duration of the program will be 30 hours stretched over a period of two years.The school has appointed a highly skilled HR professional, Mrs. Prerna Kalra, Founder – Open Hand Solutions for conducting Work Place Skills program. The initiative has been undertaken to expose our Young Adults (students) to the reality of work life by providing a broad coverage on topics like Effective Presentation, Business etiquettes and grooming, Team work, Anger Management etc. 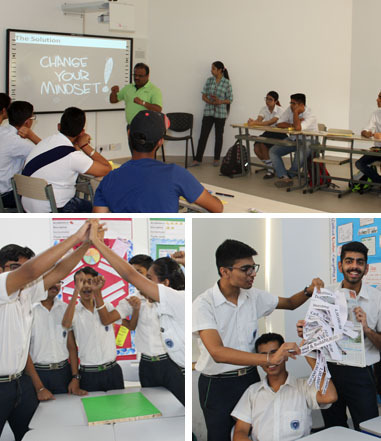 A highly interactive workshop on the topic “STUDENTS AND INDUSTRY-ADVANCING ASPIRATION & REASON, DILIGENCE & SENSE (STANDARDS) was conducted in which students and faculties of different schools across the north region participated in the event. 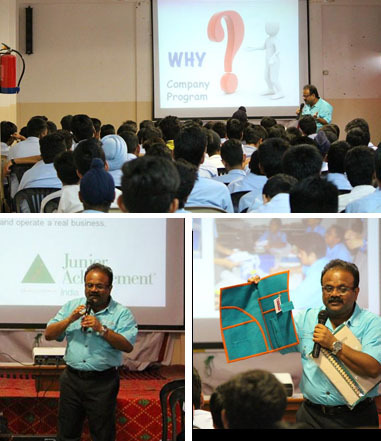 The resource speaker for this workshop was Mr. Venkat Matoory, CEO JA India, and Senior Director, India Enterprise Network, JA Worldwide who said that the journey of leadership is a fascinating one and it begins when one stops working for oneself and works for the excellence of one’s team. The three days session focused on gaining clarity on the concepts of self and mapping of achievements. Mr. Matoory emphasized that positivity of our thoughts can overcome the negativity in our environment. Students clarified their doubts regarding their future goals and the connection they need to establish between their interest area and life goals. Students appreciated the content and context of the workshop delivered. The workshop was concluded with an eye-opening thought’ what you want to solve with what you want to be’ in the context of today’s globalized world which is facing a lot of social, economic and environmental issues. 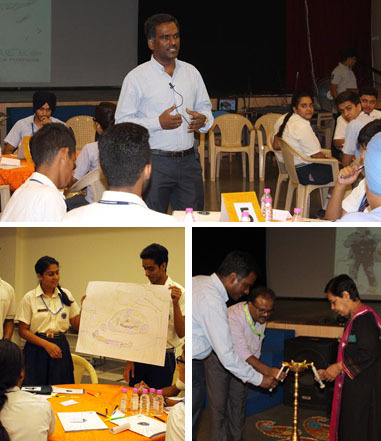 Learning Paths School, Mohali being the partner school for Junior Achievement hosted the final round of JA India Business Challenge Competition (JAIBC) for Chandigarh region. 213 teams from 22 different schools and institutions participated from across the northern region in the coveted competition. JAIBC uses JA Titan to conduct this competition. JA Titan is an online business simulation program that allows teams to act as chief executive officers of virtual manufacturing companies. The top eight teams that qualified for the final round were from Spring Dale Senior School( Amritsar), Vivek High School( Chandigarh), BhavanVidyalaya( Chandigarh), Budha Dal Public School( Patiala), Symbiosis Law College(Pune), Kirori Mal college ( New Delhi),University of Legal Studies ( Punjab University, Chandigarh). The JA Student Company Program is run on a limited scale and serves as a proof-of-concept. In this program, participating students learn important entrepreneurial skills while creating their own student company and operate it through an entire business cycle (From business plans through organization setup and operations to liquidation). The companies are overseen by a Student ‘Board of Directors’, have articulated ‘incorporation’ documents and maintain their books of accounts. They make and market real products, raise “capital” and make “real” profits (or losses) with the support and mentoring of a wide range of professionals. The purpose of this program is to provide students a real life experience as possible while staying within academic boundaries. 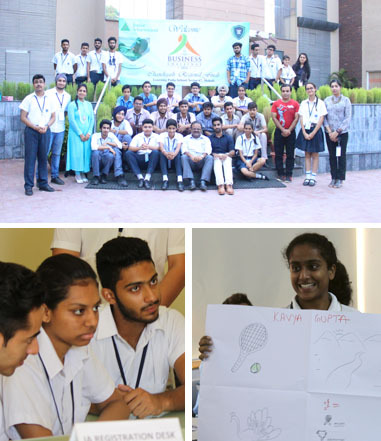 Students are encouraged to actively participate in fun-filled enrichment activities like Lateral Thinking, Team Building and Problem Solving activities that inculcate the ability to think out of box amongst the students and develops the ability to solve business problems.